Waaldein is a complete guide for Muslims about how to deal with parents. According to Islamic code of life, one has to treat his/her parents well even if they are Non-Muslims. Those who treat them well and obey their legitimate orders are called obedient while those denying them their rights are disobedient ones. This book has an epic blend of emotional and meaningful real life stories of obedient and disobedient children with practical lessons. 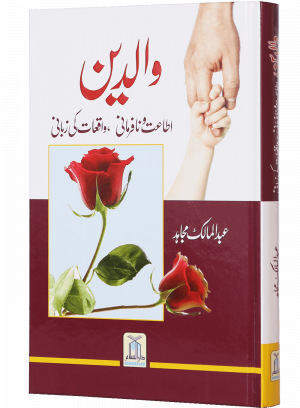 The compiler; `Abdul Malik Mujahid` has explained every aspect in his own words to help readers understand well.